As a reply to this theme, Hubert Soudant, whose visit to the orchestra counts up to 15, selected Tchaikovsky’s “Mozartiana.” This is a beautiful suite that Tchaikovsky has written with a love towards Mozart. Following is Prokofiev’s Violin Concerto No. 2 with Kyoko Takezawa, who has a close relationship with the orchestra, having played together during the oversea tour. Soudant has studied under Mo. Jean Fournet and respects the tradition of French Music. We are all certain that Soudant will present us the brilliance delivered from salvation in Symphony No. 3, “Organ” by Saint-Saën, which very often played just spectacularly. Born in Maastricht, Hubert Soudant won numerous first prizes at several international competitions, such as International Conductors Competition of Karajan in Berlin, Competition of Cantelli in Milano, Concours International de Besancon. Whether it is a concert or an opera, Hubert Soudant conducts the most prestigious European orchestras such as the Berliner Philharmoniker, the London Philharmonic Orchestra, London Symphony Orchestra, the Bamberg Symphony Orchestra, the Vienna Symphony Orchestra, Munich Philharmonic, Stuttgart Radio Symphony Orchestra, Hamburg Radio Orchestra, Frankfurt Rundfunk Orchestra,the Dusseldorf Symphony Orchestra, Dresdner Staatskapelle, K.B.S. Symphony Orchestra of Seoul, Sydney Symphony Orchestra, Orquesta Sinfonica de Madrid, National Orchestra of Paris and a great part of the Italian orchestras, such as Orchestra della Scala di Milano, Santa Cecilia in Rome. As an opera conductor he conducted operas almost all over the world among others at the Theatre de la Bastille and almost all Italian opera houses like Parma, Catania, Palermo, Trieste, Bologna, including the Scala di Milano. He participates also prestigious international festivals, such as the Spring Festival of Prague, the Bruckner Festival of Linz, the Salzburg Festival, the Mozart Festival Salzburg, Wiener Festwochen, Mostly Mozart Festival in New York, Spoleto Festival and Ravenna Festival. 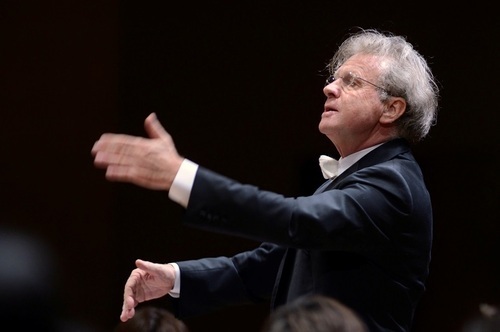 Hubert Soudant was the principal guest conductor of Melbourne Symphony Orchestra, and the Music Director of Radio France Nouvelle Orchestre Philharmonique, Utrecht Symphony Orchestra, l’Orchestra Toscanini of Parma, Orchestre National des Pays de la Loire, Mozarteum Orchestra of Salzburg, and Tokyo Symphony Orchestra in Japan. He currently holds the title of for Tokyo Symphony Orchestra. Kyoko Takezawa started to play violin at the age of 3 and while she was a student of Toho Music High School, she won the first prize of Japan Music Competition. 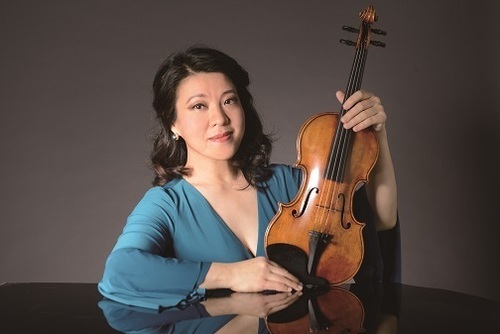 In 1986, she was the finalist of the second Indianapolis International Violin Competition. Takezawa has performed as soloist with such prominent ensembles as the New York Philharmonic, the Boston Symphony, the Philadelphia Orchestra, the Chicago Symphony, and the symphony orchestras of San Francisco, Cleveland, Baltimore, Saint Louis, Houston, Toronto, Dallas, Montreal, Detroit and Cincinnati. Abroad, she has been heard with the Academy of St. Martin in the Fields, the London Symphony, the Tonhalle Orchestra of Zurich, Bavarian Radio Symphony Orchestra, the Dresden Staatskapelle, the Royal Concertgebouw Orchestra, the Royal Scottish National Orchestra, the Leipzig Gewandhaus Orchestra, Orchestra National de Radio France, Lyon and also Nice, the NHK Symphony, the Tokyo Metropolitan Symphony and the New Japan Philharmonic. She has collaborated with many distinguished conductors, including Seiji Ozawa, Sir Colin Davis, Michael Tilson Thomas, Wolfgang Sawallisch, Kurt Masur, Sir Neville Marriner, Leonard Slatkin, Charles Dutoit, Marek Janowski and Sir Andrew Davis. She has performed at major venues around the world, notably Carnegie Hall in New York; the Kennedy Center in Washington, D.C.; London’s BBC Proms; Musikverain in Vienna and Suntory Hall in Tokyo. 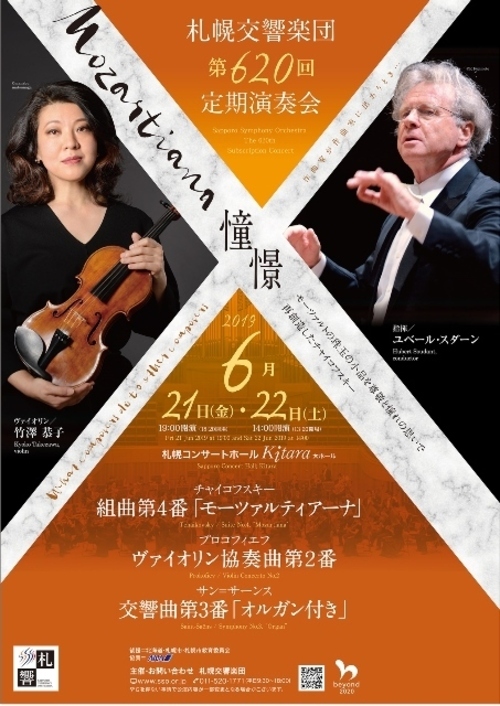 Takezawa has been participating in number of music festivals worldwide and her activity extends not only with the orchestras but also chamber ensemble and recitals. Her recording is extensive in RCA Red Release.